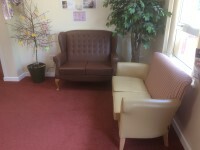 Services within the building include: Apple Orchard Ward and Cherry Orchard Ward. 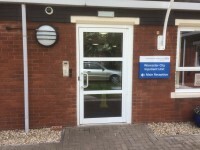 Worcester City Inpatient Unit is located on Timberdine Close and can be accessed by Bath Road (A38) and Timberdine Avenue from Worcester City Centre. 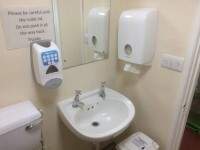 It can also be accessed by the A4440 and Bath Road (A38) from the M5. 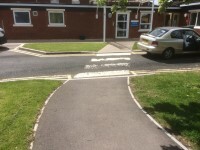 Blue Badge bays and standard parking spaces are available in front of Worcester City Inpatient Unit main building. 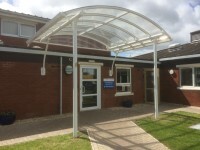 The nearest bus stop is Cherry Orchard School and is located on Timberdine Avenue. The 27 and 44S services stop here. 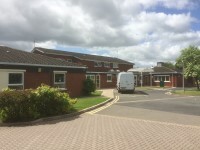 The nearest train station is Worcester Shrub Hill which is approximately 1.7 miles (9 min drive) from Worcester City Inpatient Unit. This is link for the home page of West Midlands Railway, the service operators of Worcester Shrub Hill Train Station. This is link for the home page of First Group, the operators of bus services around Worcester. 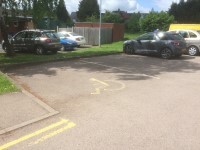 The dimensions of the designated Blue Badge parking bay(s) surveyed are 376cm x 486cm (12ft 4in x 15ft 11in). 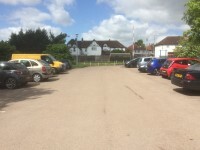 The nearest designated Blue Badge parking bay is approximately 27m (29yd 1ft) from the Main Entrance. 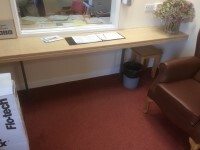 You are on Opening Times (Reception). Skip to the next section. 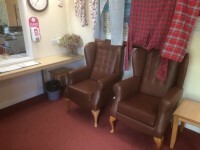 Visiting hours are until 19:00. The width of the door opening is 98cm. 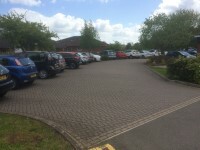 The reception point is approximately 4m (4yd 1ft) from the Main Entrance. 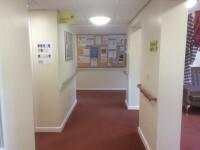 The shared toilets that were surveyed are located straight ahead on entering. 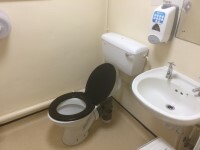 The shared toilet(s) is/are approximately 8m (8yd 2ft) from the Main entrance. 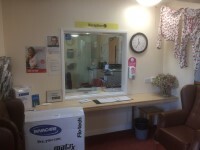 Worcester Inpatient Unit - Apple Orchard Ward link (new tab) - click here. 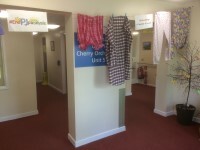 Worcester Inpatient Unit - Cherry Orchard Ward link (new tab) - click here.